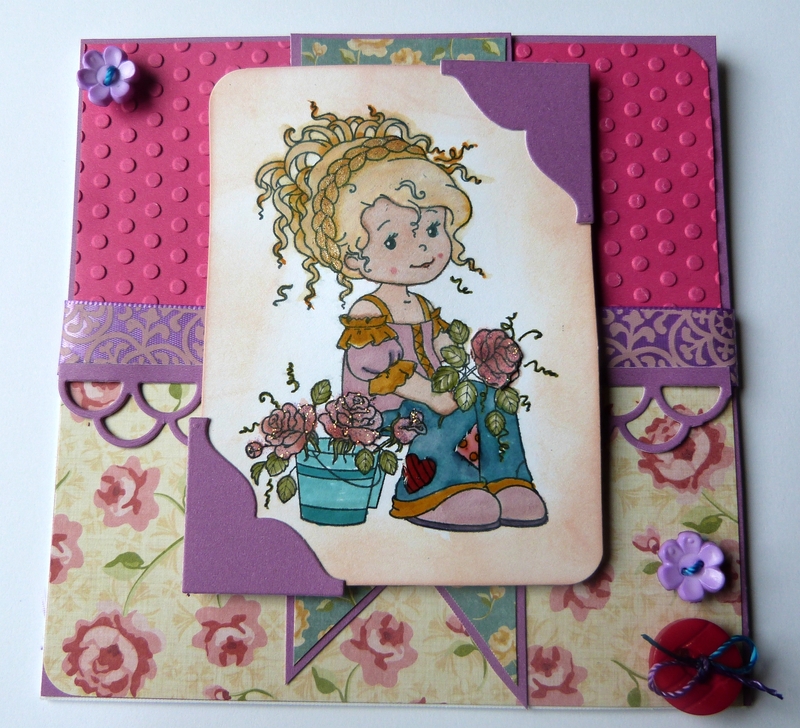 My next card uses Sweet Sunday Sketch #154. I love all the layers. 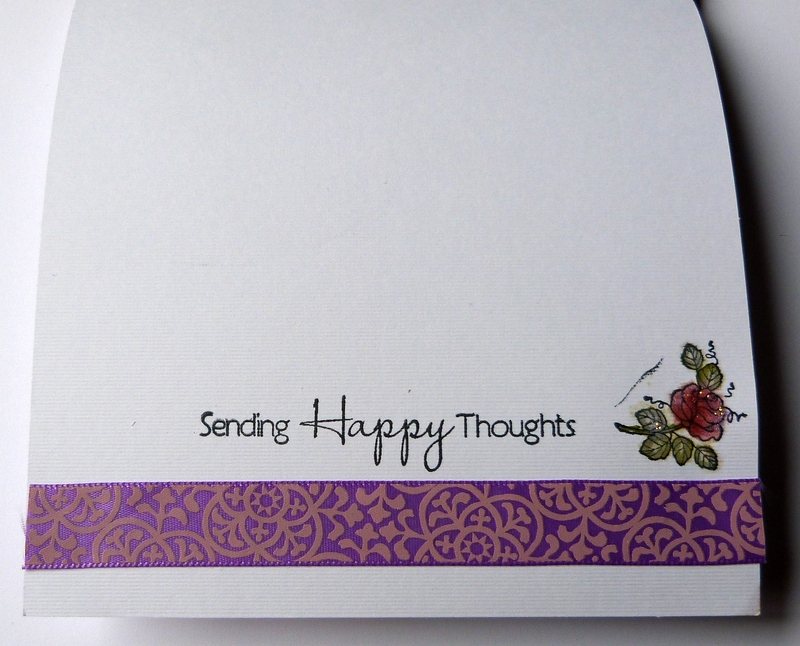 I used the stamp from Whimsy Stamp, love it. I used Distress Markers to color her. They are awsome. I distressed around her sides. Added lace and scallops die underneath her. Added some photo corners from MFT, totally love them. I A few buttons completed the card. Supplies: Papers: Cosmo Cricket, Color Box cardstock. Scraps. Dies -MFT Photo Corners, double scallop. Miscellaneous: ribbon, Water brush, Button, distress markers, sew easy twine, icy stickles. Lily pad-buttons and awesome colors of the buttons. Our Craft Lounge-pretty petals-love the roses she has, i added a double layer on the rose she has in her hand. Color Me Creative-Anything Goes-colored with distress markers. So very beautiful! Love the coloring! Thanks so much for joining the fun with us at Lily Pad (Virginia’s View)!! This is so sweet. I really like the layout and the image is adorable. Thanks for joining us at Fairy Fun Fridays. What a lovely card. So sweet and fun. Thanks for playing along with us at DYSU. Gorgeous card. Thanks for joining us at DYSU this week! I love this image and your colored it beautifully! The colors are so bright and Springy. Very pretty!